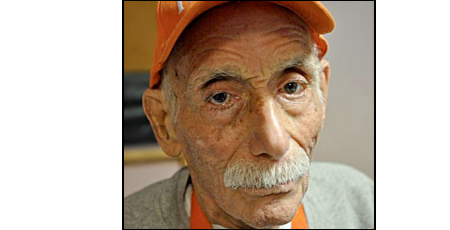 Tonight at 6:30pm, the Central Park running track at the Reservoir will be officially dedicated to Alberto Arroyo, who died at the age of 94 on March 25. Mr. Arroyo claimed to be the first person to regularly run around the Reservoir, starting in 1937. But it's not that distinction that endeared him to thousands of New Yorkers in the succeeding years. It was his daily, cheering presence at the track that made him one of New York's more beloved characters. "Hey, looking good!" was his line and when he said it to you, you felt good, too. Mayors Giuliani and Bloomberg declared him the official Mayor of Central Park. As one of the pioneers of jogging in the United States, Alberto inspired generations of runners at the Central Park Reservoir for over 75 years. His friendship and encouragement will always be remembered, and his daily presence will be missed. With thanks, we dedicate this track to him. "Hey, looking good!"